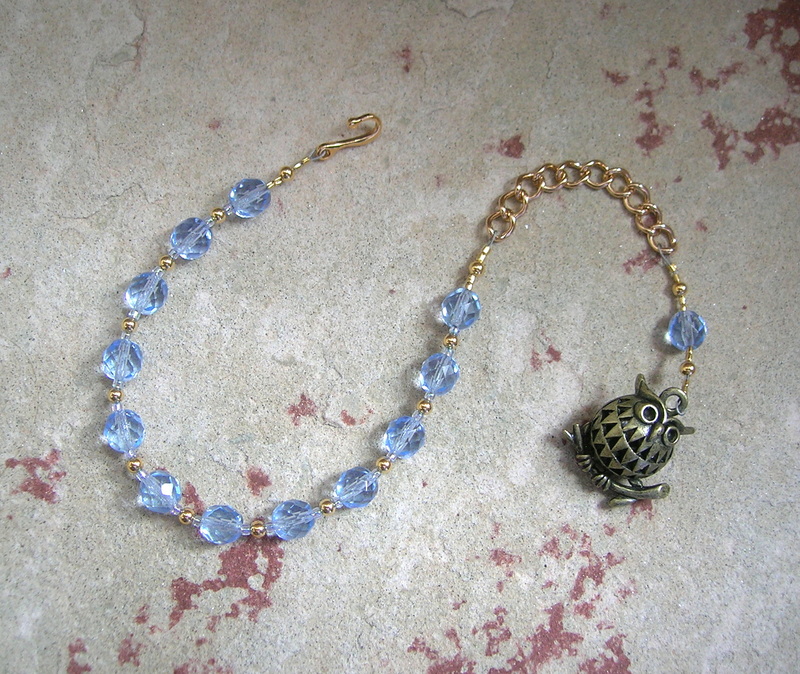 The pictured Athena bracelet is here; I’ve only got a few other pieces listed so far in this design but I am, personally, so fond of them that I just had to share! They’re really a smaller and easier-to-wear (and usually less expensive, although I try to keep all my pieces affordable) version of the pocket prayer beads I make, and I’m having way too much fun making them :). They are adjustable to fit wrists from 7-9″ and the metal bits are made from either silver-plated or gold-plated brass or steel. I can also make them with stainless steel metal bits at a small additional cost. They fasten to the extender chain with a plain hook for ease of use, but I can also use a lobster clasp for greater security if you prefer (at no additional cost).